Surpassed in precedence only by the Presidential Unit Citation for the various branches of the U.S. Military, the Joint Meritorious Unit Award (JMUA) was originally established as the Department of Defense Meritorious Unit Award on 4 June 1981 by Secretary of Defense Caspar Weinberger. A little over a year later, the award’s name was changed to its current designation through Department of Defense Directive 1348.27, with a retroactive award date of January 23, 1979. It remains the sole ribbon-only award issued by the Department of Defense. 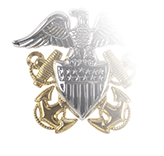 The JMUA is the organizational equivalent of the Defense Superior Service Medal, and the relationship between the two is evidenced in the decorations’ highly similar color schemes. 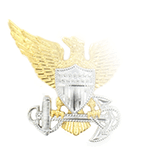 Eligibility for the JMUA extends to all joint units and activities, including Joint Task Forces, but members of Service-unique units merely assigned and/or attached to JMUA-eligible units are not eligible for this organizational award. 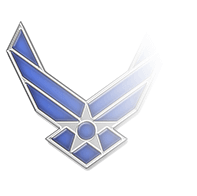 (A joint activity is defined as a DoD activity consisting of elements of more than one Military Service.) Further, the activity must report through a command channel reflecting the joint nature of the activity (a Unified Combatant Command, for example), or pursue a joint mission under the purview of the Secretary of Defense, Chairman of the Joint Chiefs of Staff, commander of a specified joint commands, or the Secretary of a Military Department designated as Executive Agent for the Secretary of Defense. For a unit to earn the JMUA, it is not enough that it is credited with an outstanding accomplishment. 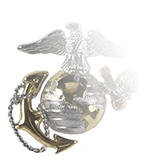 Rather, it is awarded to recognize exceptionally meritorious conduct in the performance of outstanding service, and the achievement must be beyond the unit’s normally assigned or expected mission. Further, qualifying achievements should be operational in nature, and have taken place during action in combat with an armed enemy of the United States, during a declared national emergency, or under extraordinary circumstances that also involve national interests. 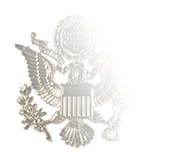 Units are authorized only one JMUA Ribbon, with subsequent awards denoted with bronze oak-leak clusters; a silver oak-leak cluster is worn in lieu of five bronze clusters. The JMUA can be awarded more than once to the same unit during a single mobilization because it is based upon a designated period of service unrelated to mobilization dates, so a unit could earn the JMUA and a bronze oak-leaf cluster during a single mobilization period.